LANSING, Mich. (AP) — President Barack Obama is carrying out a presidential duty that he hasn't had a lot of opportunity to perform recently: signing into law a major piece of bipartisan legislation. Obama planned to sign a far-reaching farm bill Friday at Michigan State University, choosing middle America for a rare celebration of Washington political compromise. The bill expands federal crop insurance and ends direct government payments that go to farmers whether they produce anything or not. But the bulk of its $100 billion per year cost is for the food stamp program that aids 1 in 7 Americans. 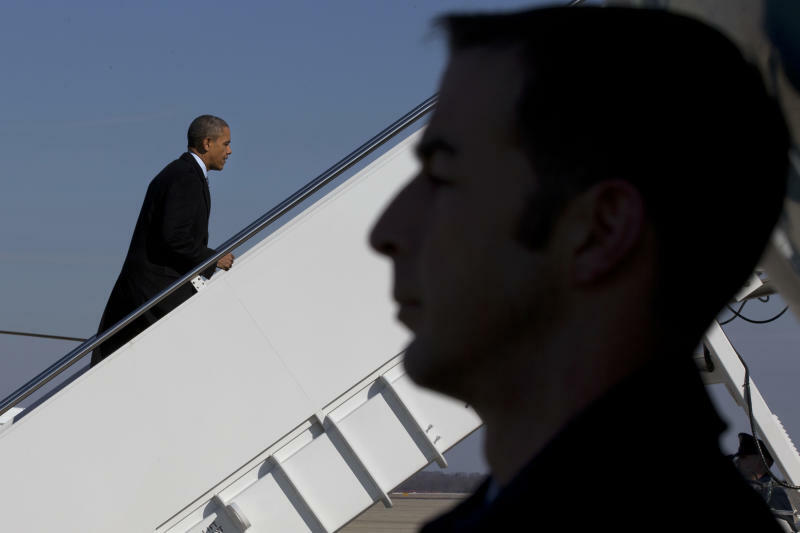 The White House said Obama would squeeze into his three-hour visit a lunch with Detroit Mayor Mike Duggan, who took office last month. The city is going through the largest municipal bankruptcy in U.S. history. They will be joined by Obama's point person on Detroit, Don Graves, senior adviser to the president's National Economic Council. Obama has said the farm bill isn't perfect but will reduce the deficit "without gutting the vital assistance programs millions of hardworking Americans count on to help put food on the table for their families." The five-year bill cuts food stamps by $800 million a year, or around 1 percent. That is one-fifth of the cut approved last fall by the Republican-led House. Conservatives remain unhappy with the bill and its generous new subsidies for farmers in every region of the country, including Southern peanut growers, Midwest corn farmers and the Northeast maple syrup industry. A partisan dispute over food stamp spending held up the legislation for two years, and last fall, lawmakers were warning of an impending spike in milk prices without a deal on the bill, which contains federal dairy supports. The prospect of compromise seemed bleak at the time, when lawmakers couldn't even pass a budget to keep the government running. The first thing Obama did after a deal finally was reached to end the partial government shutdown was to call on Congress to pass the farm bill, along with a budget and an immigration overhaul. In four months, he's gone 2 for 3, with chances for achieving immigration legislation appearing increasingly iffy. Obama promised in his State of the Union address last week to make 2014 a year of action, using his presidential powers besides pushing a Congress that usually is reluctant to go along with his ideas. In that spirit, he's coupling the signing of the farm bill with a new administration initiative to boost exports called "Made in Rural America." According to a draft of the initiative, Obama will direct his administration to work on connecting rural businesses with federal resources that can help sell their products and services abroad. The steps he's directing agencies to take include hosting five regional forums for rural businesses, training Agriculture Department staff in all 50 states to advise on export opportunities and putting on a national conference to highlight successful projects. The program's creation comes as U.S. farmers are sending record exports overseas, more than $140 billion in the past year, driven in large part by increasing demand from China. But administration officials say additional opportunities exist for farmers and other rural business owners. Obama's trip is a reward for Sen. Debbie Stabenow, D-Mich., who as chairwoman of the Senate Agriculture Committee helped broker the hard-fought farm bill compromise after years of setbacks. 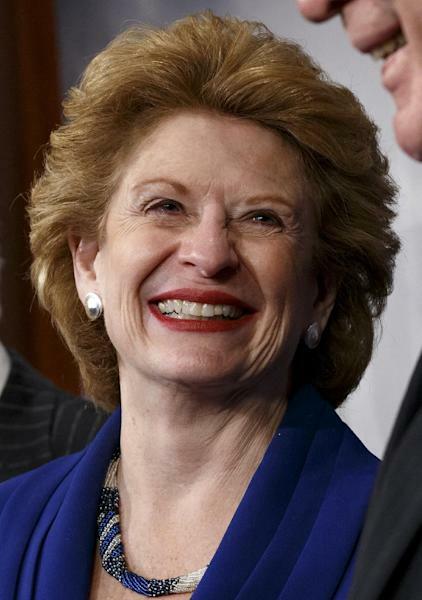 Michigan State, a leading agricultural research school, is Stabenow's alma mater. But while the bill was passed with bipartisan support, that spirit did not extend to the signing ceremony. 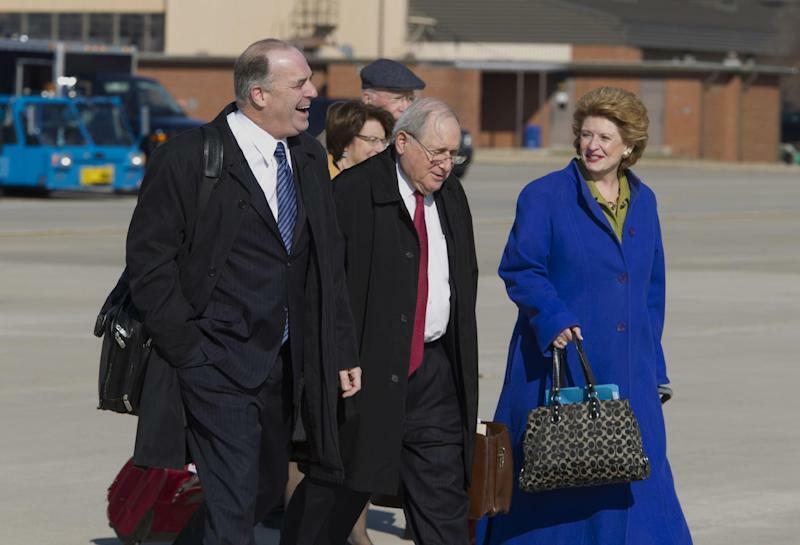 Stabenow and other Democratic lawmakers traveled with Obama aboard Air Force One. Republican lawmakers turned down similar invitations, White House spokesman Jay Carney said. Before the bill signing at the university's equine performance center, Obama plans to visit Michigan Biotechnology Institute for a look at research to benefit rural communities.